The groundbreaking artificial intelligence of the ExactMD.com physician jobsite swiftly & accurately matches physician candidate profiles with employment opportunities based on the strength of the candidate to employer matching score. 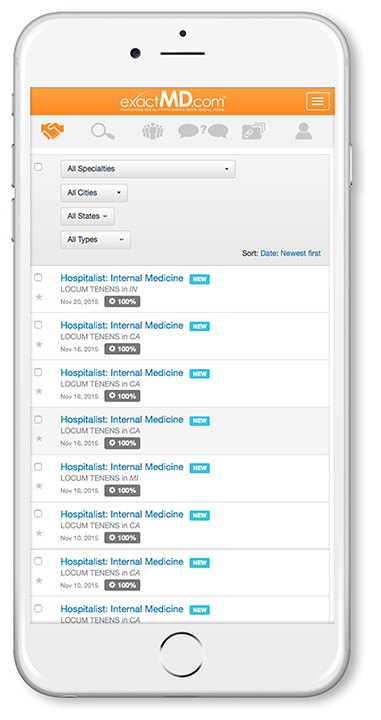 Manually search thousands of new physician jobs. Save time by letting our MatchBots™ match you to the exact physician jobs you want. Just like doctors should be! Your personal Dashboard is like having your own physician recruiter working 24/7 to find the very best jobs for doctors. Complete your FREE physician job profile and match instantly to the best jobs for doctors. 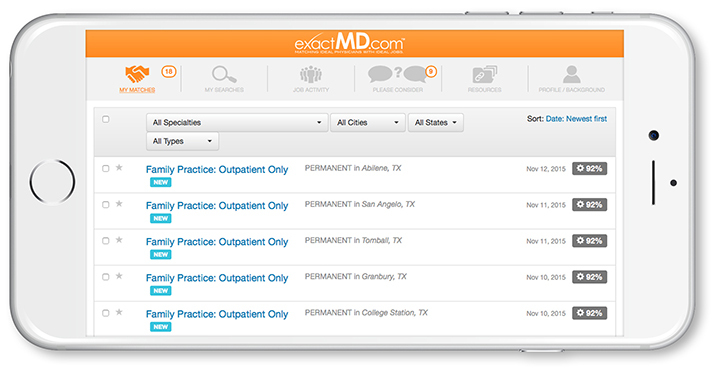 Enter detailed physician employment information, and ExactMD.com finds physician candidates for you.